The term restorative dentistry covers an array of treatments that are meant to return your teeth to their natural state of beauty and function after damage from decay, gum disease, and age related changes such as staining. At the Petaluma dental office of Clyde L. Schultz, DDS, we offer easy to understand strategies to regain the comfort and healthy appearance of your mouth – all at once, or one affordable step at a time. Dr. Schultz believes that quality restorative dentistry should be both comfortable and beautiful. Many patients who come to us have suffered from pain in their teeth or jaw joint their entire lives – only to discover that it could have been corrected long ago. Often, they leave in greater comfort in their jaw joint and teeth after undergoing correction of uneven bite forces caused by misalignment (malocclusion) that produces jaw and tooth pain. Other times, digital x-rays make it possible to find the source of discomfort while dramatically reducing radiation dosage. Whether discomfort or dissatisfaction with an embarrassing smile, the most important goal is to carefully identify the problem before beginning treatment to avoid unnecessary or ineffective care. Dr. Schultz is a dedicated diagnostician with almost forty years of experience at identifying dental problems. By accurately targeting the problem with the most appropriate treatment options, Schultz’s award-winning dental office has earned a reputation for quickly and painlessly resolving pain and embarrassment caused by cracked teeth, decayed, or infected teeth, as well as restoring esthetic and chewing function by replacing missing teeth and restoring a comfortable and stunning dentition – no matter how worn or dysfunctional it may have become. As a general family practice, Dr. Schultz takes care to give patients the treatment that’s right for what they need by making sure his treatment plan fits each patient’s individual oral health concerns. Q: If I were younger, I might consider a different treatment. How can I get age-appropriate dental treatment? A: We offer a full range of treatment options tailored to all patients who are concerned about cost as well as stress treatment. To this end, we listen to your needs, explain the full range of treatment options available, and help you choose care that will best restore your ability to speak and chew with confidence and dignity, regardless of your age. Q: How do you control cost for me as a senior? A: We rely on careful diagnosis to rule out unnecessary treatment, and we carefully explain all treatment alternatives to every dental patient – especially our senior patients. 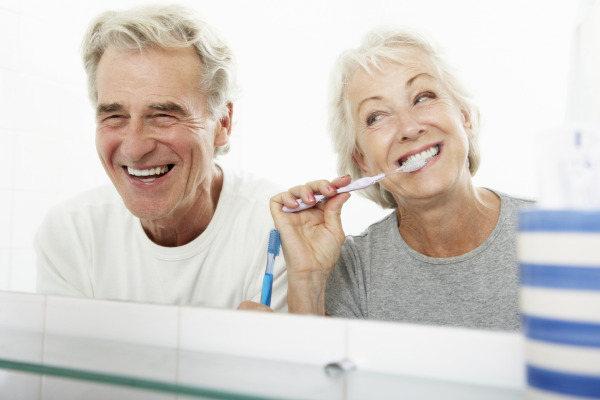 In addition, we offer senior discounts for restorative and general dental care. We focus on cost-conscious dentistry, plan step-by-step dentistry that divides cost into affordable stages, and we never lose sight of the budget you have in mind for your dental care. Q: What if I have health problems? A: We communicate directly with your physicians when there are health considerations to be taken into account. We tailor appointments to your needs and your comfort, so you don’t have to spend more time than necessary sitting in a dentist’s chair. Our office is also open for morning appointments and offers prioritized scheduling, so you get shorter, more convenient appointments that accommodate your needs. Schedule Your Restorative Dental Appointment Today! Before beginning any treatment plan, Dr. Schultz and his team take time to discuss your concerns and fears so they can be worked through together. Our patients can count on being heard and receiving the care that addresses their individual needs. To get more information on restorative dentistry in Petaluma, contact Dr. Schultz’s office to schedule your consultation.